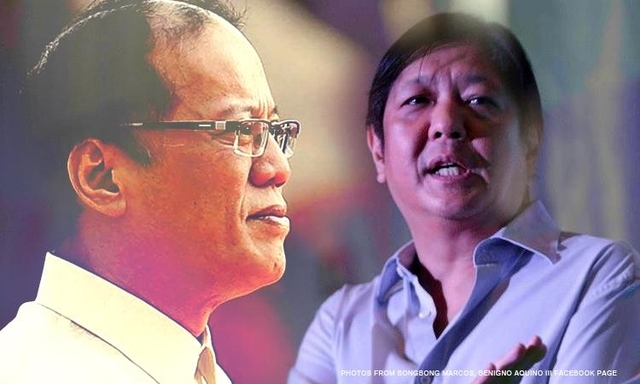 In a commentary for the Manila Times by journalist Francisco Tatad, a former Minister of Public of Information, he explains why former President Benigno Aquino III was so afraid of a Bongbong Marcos win in the last vice-presidential elections. He said Aquino had an “undying hatred of the Marcos past” as well as an “unreasoning fear of a Marcos future”, at the same time he claims that Ferdinand Marcos’ term was the “golden age” when the country was respected everywhere in the globe. He claims the “real value” of Martial Law has been forgotten by Aquino who froths in the mouth upon mere consideration of a Marcos win. Tatad claims the war is a continuation of that which the men’s fathers started, and that Aquino’s hatred is because of the things that transpired leading to, and following the death of Ninoy. • -Ninoy Aquino’s career was mostly dedicated to the destruction of Ferdinand Marcos. In his entire time as senator, he only authored one law (which his chief of staff claims to have drafted for him), and the rest were mere anti-Marcos plots and speeches, one exposing the national security project for Sabah which made the country lose “a paramount national interest”. • -In 1969, he gathered communists to rebel against the government. When these rebels came knocking on the Palace, Martial Law was declared. The oligarchy condemned Marcos. The Aquinos were backing them. • -Ninoy was warned not to come home by then Defense Secretary Juan Ponce Enrile because of a Security threat, Aquino went anyway and was shot at the airport now named after him. Cory, his wife did not even bother to have the death investigated and immediately blamed Marcos for it. Aquino became a hero from then on. • -When Cory became president, she wiped off all of Marcos’ marks in the government, including beneficial programs, the almost complete Bataan Nuclear Powerplant and the entire the nation’s energy program. She spent almost a trillion building flyovers all over the country in six years as compared to the 600 billion Marcos spent in twenty. Now, PNoy continues to savage the Marcoses warning the nation that Bongbong being vice president would be “dangerous”. Tatad says that maybe in his six unproductive years in the presidency, he realized no son of a former president should go near it again. Aquino made it a bigger priority that there be a Marcos loss compared to a Roxas win. Out of all the senators who ran for VP, Marcos was the only one who was not tarred for receiving payment for the impeachment of Chief Justice Renato Corona. Tatad claims Aquino knew that manipulating the VP races would be easier for him. He had done it successfully. Tatad also claims that the Aquinos, whose treason began from Nonoy’s grandfather’s collaboration with the Japanese in the Pacific war, should be exposed. So the world could see what they really are “permanently”. Many were able to check how massive the drug war the new government is doing today.